José, F., Pascual Iserte, A., Vidal, J. 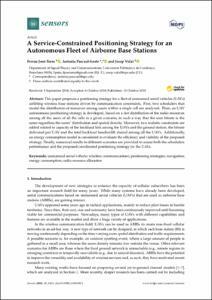 A service-constrained positioning strategy for an autonomous fleet of airborne base stations. "Sensors", Octubre 2018, vol. 18, núm. 10, p. 1-31.